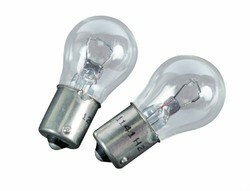 Our range of products include auto bulbs, automotive bulbs and automotive lamps. we are one of the leading Manufacturer, Supplier and Exporter of premier grade Aircraft Landing Lamps, Aircraft Navigation Lamp, Aircraft Reading Lamp, Aircraft Instrument Panel Lamp, Navigation Light Glass Cover, Auto Bulbs,Aircraft Formation Lamp, Automotive Halogen Lamp, Automobile Lamp, Miniature Lamp, Train Lighting Lamps, Military Tank Lamps, Airfield Lamps, Medical Lamp, Aviation Obstruction Light, HPSV Lamp, HPMV Lamp, Metal Halide Lamp (as per customers' designs & specifications), etc. 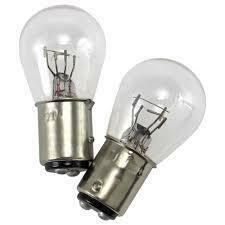 With vast experience and knowledge we are involved in offering Automotive Bulbs. These are highly praised by our clients for their sleek design and long lasting service life. The use of best grade material is being done while offering these Automotive Bulbs. In addition, we offer these products to our clients at economical rates. With vast experience and knowledge we are involved in offering Automotive Lamps. These are highly praised by our clients for their sleek design and long lasting service life. The use of best grade material is being done while offering these Automotive Bulbs. In addition, we offer these products to our clients at economical rates. Looking for Auto Bulb ?